As my term of office on the Board of the Friends of the University of Washington Libraries came to an end, I wanted to make some bookmarks as a “Good-by and thank you” gift for the people I worked with. 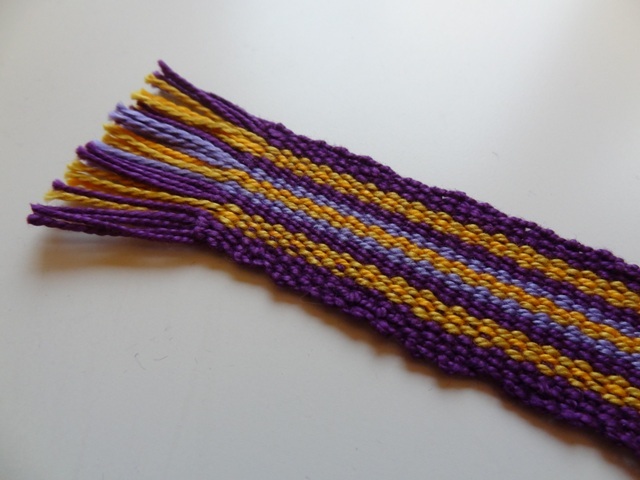 Inkle weaving makes a sturdy and pretty bookmark, and you don’t even have to have an inkle loom to do it. 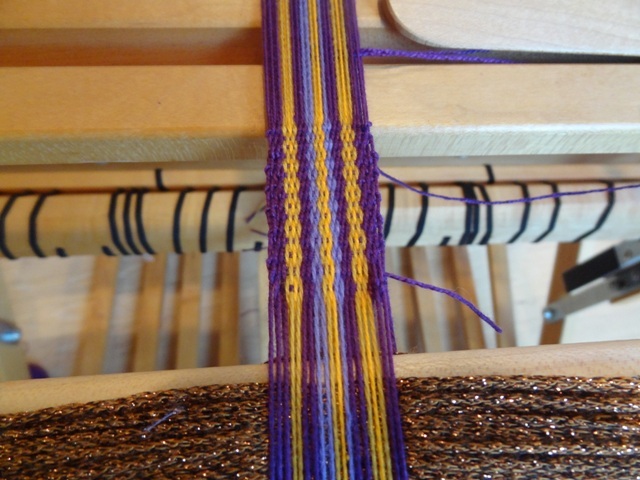 My Baby Wolf holds an inkle warp just fine, going through the heddles but leaving out the reed. As a bonus, the beater, locked into place with no reed in it, makes a great shelf to hold the shuttle, scissors, and other odds and ends I used. 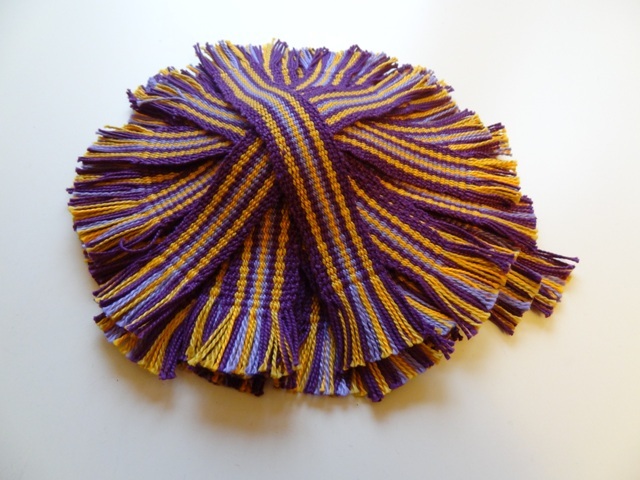 The color scheme was based on the UW colors of purple and gold. The shuttle seen above, with fat gold yarn on it, was just being used as a spacer between bookmarks. 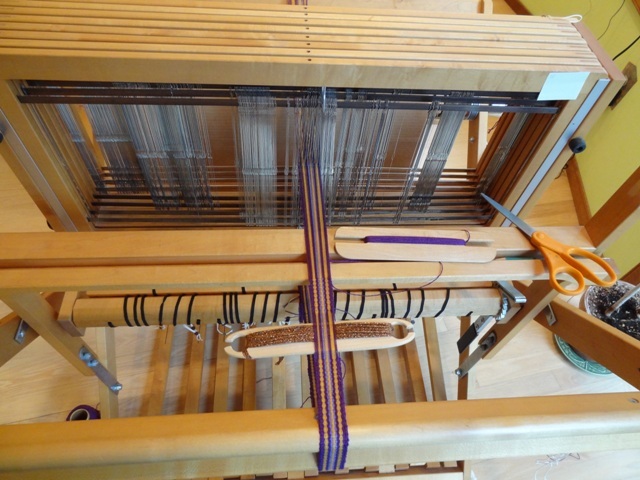 Here’s the weaving off the loom. Next step was a bath in warm soapy water, followed by a rinse and air drying. 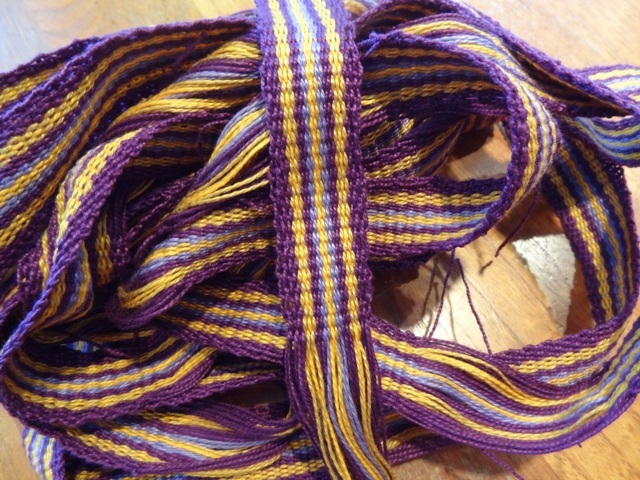 Then, I cut the long strip into separate bookmarks. 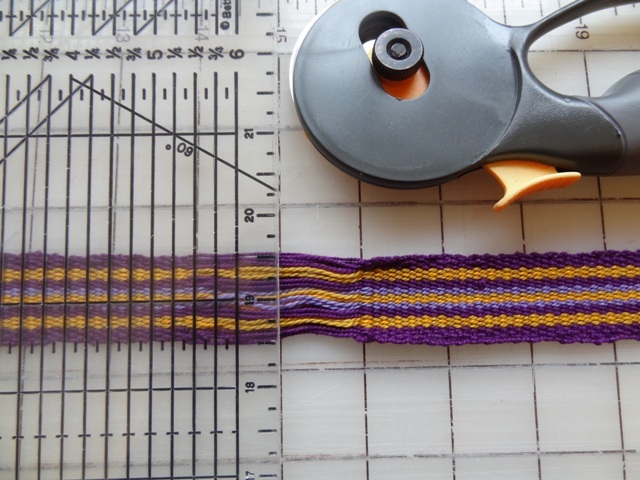 A great way to get even cuts across a woven band is by using a rotary cutter. I ended up with 25 bookmarks, just enough. A nice little commemorative gift!